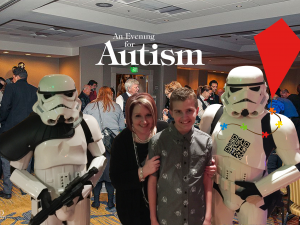 Autism Dads and Men is a joint ARROAutism/ Autism Society of Oregon effort to connect the men of the Autism community. You are invited to join this group if you are any of the following : a father or grandfather of a child (of any age) on the spectrum, an adult man who is on the spectrum, including adult men who are on the spectrum and have ASD and/or neurotypical children. This group meets once a month, on the first Sunday of each month, typically at the ARROAutism Westside Family and Community Center. We also have a yahoo group, which you can find at http://groups.yahoo.com/group/arrodads/ but problems with posting useful links there have caused us to move the majority of our interactions to Facebook. 1. This group is for just for Dads/GrandDads who have children (including adult children) on the Autism Spectrum, and adult men who are, themselves, on the spectrum, and who live in Oregon and SW Washington. 2. Providers and therapists may email autismdadsandmen@groups.facebook.com and your information will be considered for posting. 3. While we would love to support anyone with their own autism related business, please do not use the board for spamming. Please email us at autismdadsandmen@groups.facebook.com and we will be happy to post your information on our resource page. 4. As always, to protect our culture of support, please remember to keep any disagreements polite and respectful. In your email please let us know how you found us and the age of your child, or indicate that you are a male on the spectrum. We like to keep our page “safe” and just for Autism Dads and Men. Dan Yedinak and Al Ochosa – Started this group in March of 2012. Dan Yedinak, Al Ochosa, Daniel Brewer, Jim Sellers, John Henley, Paul Terdal and a small number of other men have been highly active advocates in the Autism Community for years and have discussed this idea off and on. Part of the discussion has been around naming. One idea was the WADs – Westside Autism Dads, as a spinoff of the Westside Autism Moms. While this was highly entertaining, it didn’t adequately describe the scope of our mission. Boys are 4 times more likely to be diagnosed on the Autism Spectrum as girls, and we really want to help foster the Father-Son relationship, which includes the development of boys into men. This group intends to actively recognize that growth, AND the large number of adult men already in the community. Activities in this group will be mixed : some will be just for the adults, others will include younger children. And we’d like to encourage all the men in the group to create their own activities and events, and make this as social as it is supportive. The more active we are together as a community, the better, and stronger, and more successful we will all be. This entry was posted in ARRO Center, ASD Social Groups, Events, Resources, Social Groups, Support Groups. Bookmark the permalink.